Inspiration for this recipe struck after working on a pumpkin pie ice cream. Looking into it tropical eggnog, it is actually a thing!!! 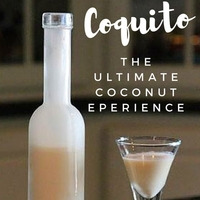 In Puerto Rico it's called Coquito After looking at a few recipes decided this was something I needed it my life. and trust me when I say you need it yours. Smooth creamy eggnog with a coconut kick, what's not to love? FLV eggnog- this is hands-down the best eggnog flavoring I have tasted to date. smooth and creamy custard, with nutmeg and cinnamon. An obvious choice for a solid base to this recipe. FA custard - wanted to add an extra layer of custard without the spices. I tried several different variations including, CAP vanilla custard, and FLV custard, flavourart custard was my favorite. CAP vanilla custard ended up muting all of the spice notes, but was still very tasty. FLV custard was also very tasty but didn't add any complexity into the recipe. Coconuts - all three of these flavorings have their strengths and weaknesses. The combination of these three, at these percentages, highlights all of their strengths. To be honest you could probably get away with just using one (my favorite was sweet coconut at 3%.) That said this combination is far more complex, and was definitely my favorite. FA Jamaican special- frankly how can you have eggnog without rum? And when looking at rum flavorings if a Jamaican special, also known as Jamaican rum is definitely at the top shelf. This concentrate has a great rum flavor, that pairs up perfectly with the eggnog. I was hoping it would bring a little warmth to the recipe unfortunately, that is not the case you could always try a little TFA Kentucky bourbon, it does bring a level of warm but can't get past the off notes. FA marshmallow - does a few things here, for us helps soften the harsh notes, the nutmeg can have as a shake and vape, along with adding a fluffy texture, and adds an extra level of sweetness. When I was blueprinting this recipe before doing any research on the topic I had banana in the mix. After researching and tasting a reference. Decided to keep this traditional, oddly enough the combination of eggnog and coconut does give me a banana flavor, and TFA Banana Foster would fit in here very very well. Criticism and feedback, are much appreciated. Thanks for reading, I hope you enjoy. Yanno, I can see why this is such a thing. Eggnog is bloody boring. Bland. Thick. Seriously, how the hell did it become the go to drink of the holidays? This stuff, on the other hand...the eggnog is eggnog. Thick, rich, as it should be, especially with the help of marshmallow and custard. But then with the addition of coconut and rum...damnit. This is tasty as hell. Seriously delicious. I can have my tropical fun and holidays all in one? Brilliant! Ridiculously tasty. Nicely done!